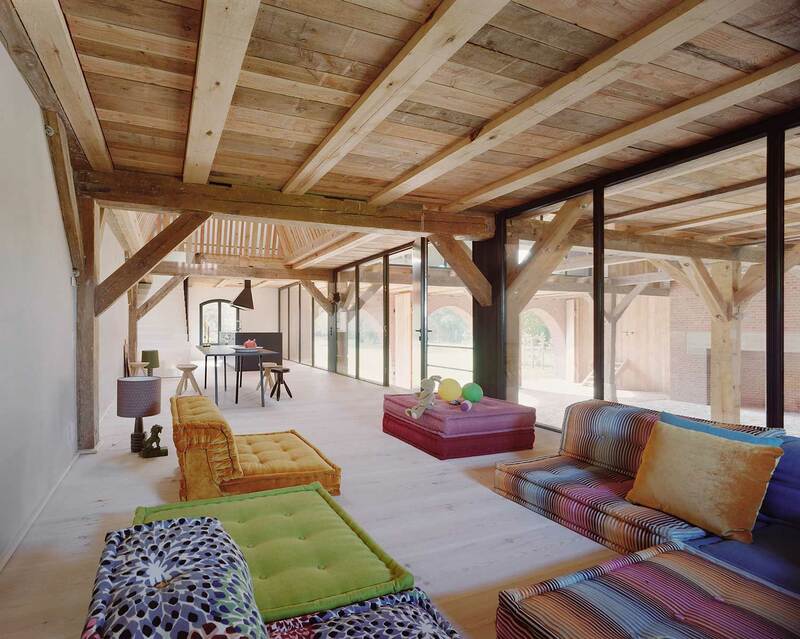 From A Rustic Barn to An Elegant Holiday Retreat: Rote Scheune by Thomas Kröger. 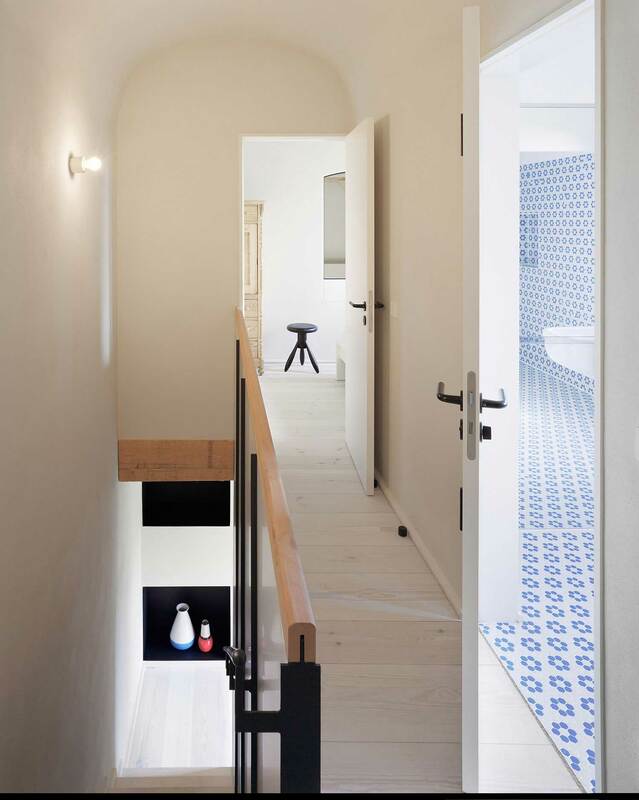 Situated on the western shore of Oberuckersee lake, Uckermark region, Germany, Rote Scheune (Red Barn) is a converted barn-turned-holiday apartment. 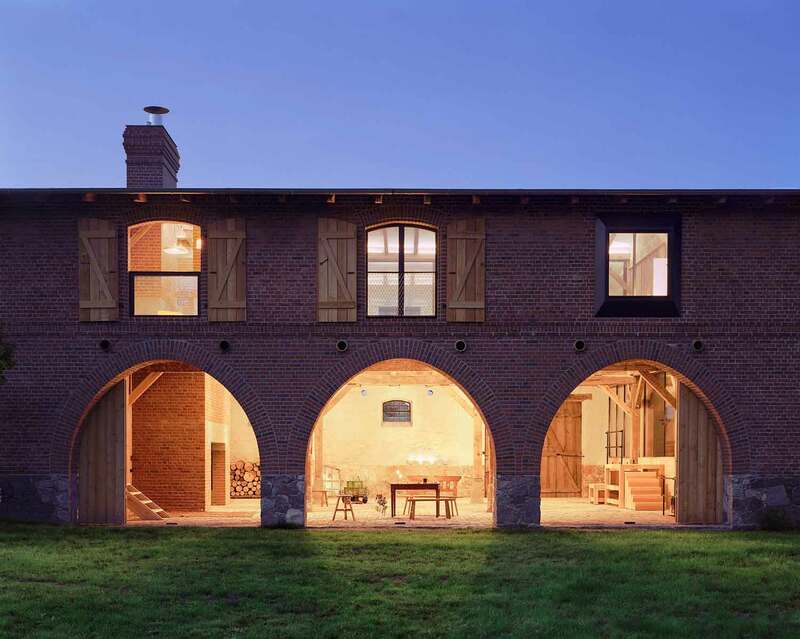 Built in the 1900s, this red barn was discovered and purchased by the owners many years ago, who were originally attracted by the peace and beauty of the place, by the old chestnut trees and the generous garden. 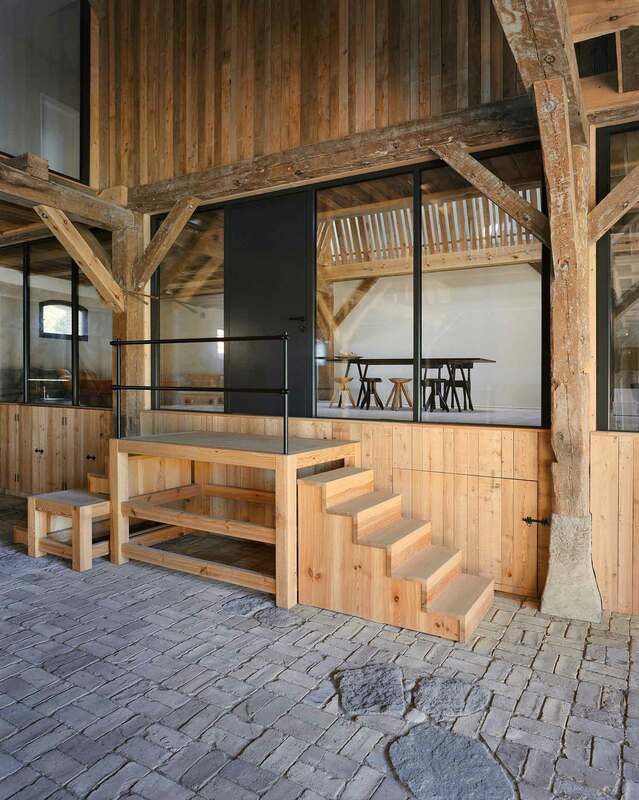 When they decided to renovate it, the barn had not been used for more than 20 years. 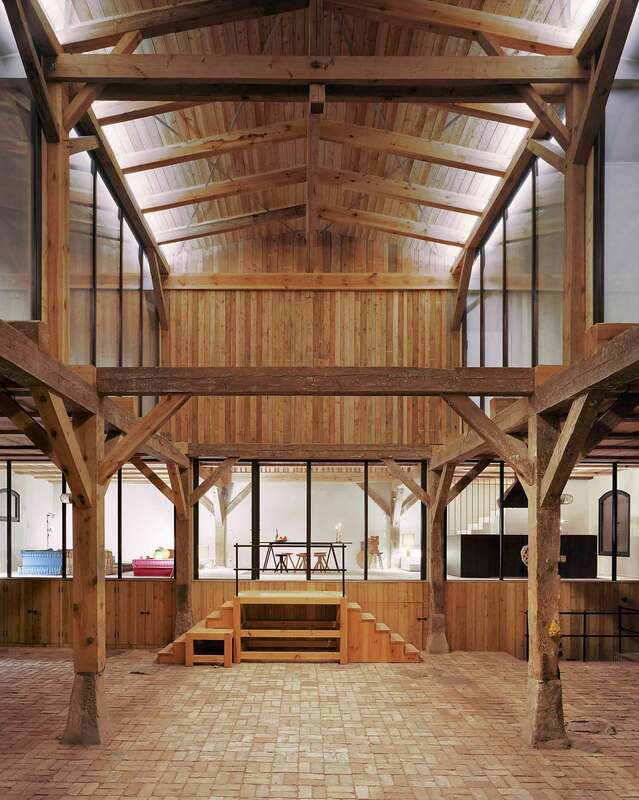 Most of the building was a stable for sheep and cows. 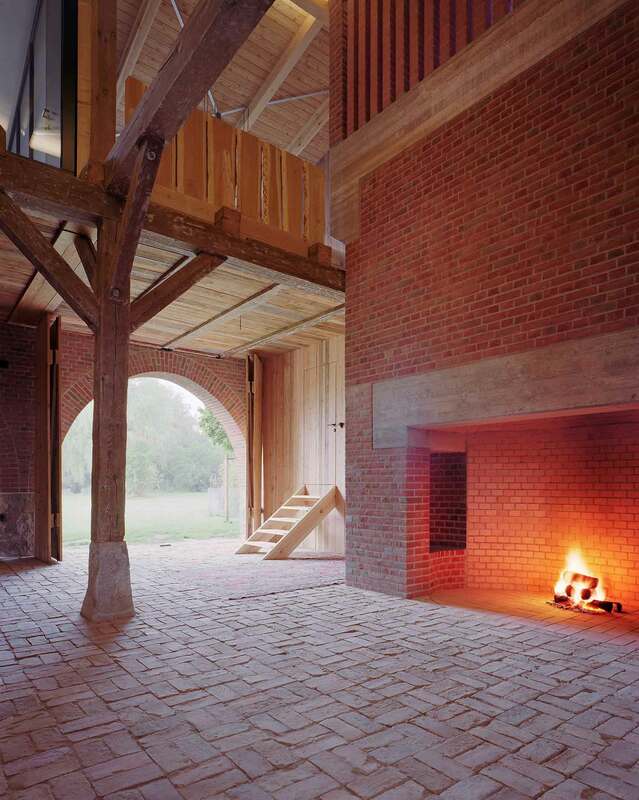 On the right side, the old barn was divided into small rooms for the farmer’s family and on the upper level there was a room to smoke meat and a facility for raising pigeons. 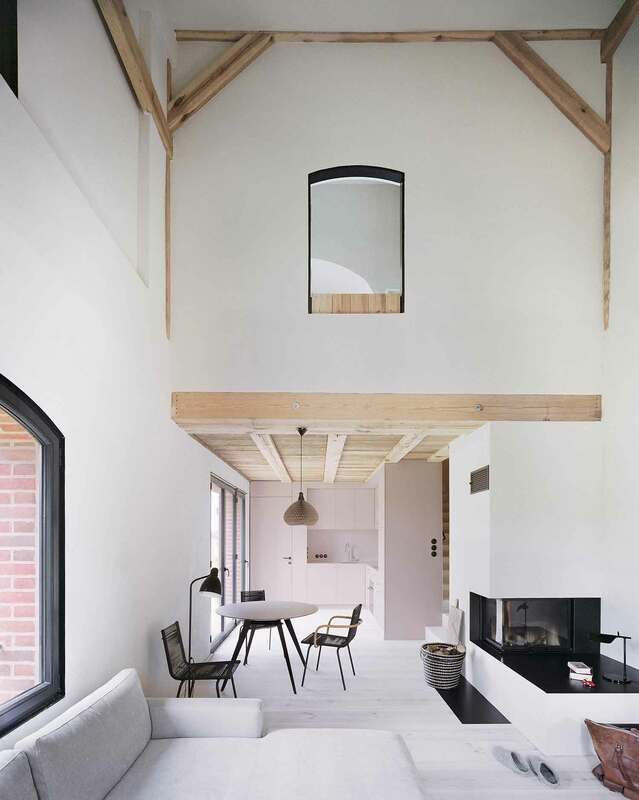 Preserving the original architecture and all the elements that define the rustic barn, Berlin-based architect has transformed the interior opting for a winning combination – timber and white paint. 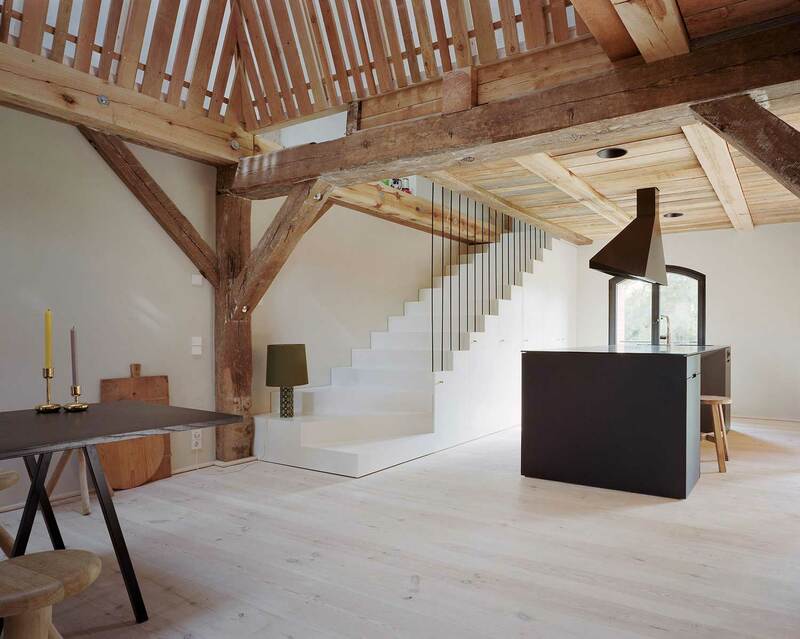 Timber beams make an appearance throughout the house as homage to the original architecture and simultaneously serve as a prominent decorative element. 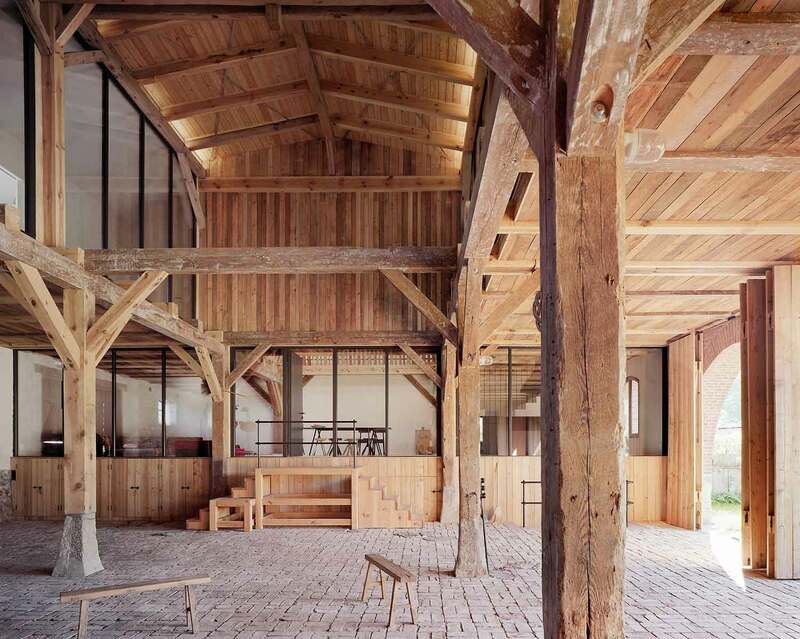 High ceilings and the large glass windows give the seven-meter-high central hall and living room a light, airy quality while the rough wooden walls and stone floor of the entryway serve as a reminder of the barn’s origins. A once rustic and utilitarian space has been transformed into an elegant holiday retreat that still feels accessible and incredibly down-to-earth. Talk about bringing something old back to life, on steroids! У нашей организации авторитетный интернет-сайт на тематику ремонт стиральной машины индезит. Surreal Distorted Reality by Photographer Erik Johansson. 50th Anniversary Revamped Cassina LC Collection.